Play Matches, Earn Prizes & Cash. No one has placed on this leaderboard yet. Start playing to participate! Performance points are gained by playing free ladder, cash out and tournaments matches on the website. Players who place Top 50 in points for the ladder week will be awarded the displayed prize for that placing. *Prizes are eligible for change during the given week please be sure to check back daily. This leaderboard runs from Monday at 12:01AM EST to Sunday at 11:59PM EST. Every Sunday at 11:59PM EST the leaderboard will be locked and all points will be wiped for the next week. Don’t panic as your previous weeks points are still there and are visible by clicking the navigation arrows at the top of the leaderboard. More features will come as we progress through Beta for this leaderboard. If you have any suggestions please create a customer support ticket: Submit a ticket to tell us more. 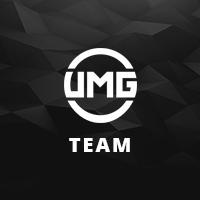 This leaderboard is intended to track all matches played on UMG and reward you the player with performance points. The more points you earn as a player, the higher you will rank on the leaderboard. As you climb the leaderboard you will increase your chances at obtaining a larger prize. Please keep in mind, this ladder is in Beta. If you encounter and issues, bugs, glitches. Be sure to report them as soon as possible. Abusing any exploits will result in a permanent ban from the Performance leaderboard along with a suspension from the website. Player's from ARIZONA, CONNECTICUT, MARYLAND, QUEBEC are not eligible to receive any Prizes from UMG Online. When you place FIRST or SECOND place in a tournament you do NOT get the points from the previous tiers. For example, if you place FIRST you would get +5 points. You would NOT get the extra +4 points from the previous tiers.